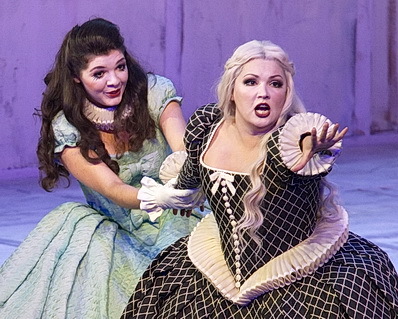 Since her debut in 2011 at the State Opera Berlin as MASCHA in Eötvös' “Tri Sestri”, Anna Lapkovskaja has become a regular guest performer at this renowned opera house. Under the direction of Mto. Barenboim she appeared as the GYMNASIAST in Alban Berg’s “Lulu”, as FLOSSHILDE in Wagner´s “Das Rheingold” and “Götterdämmerung” as INES in „Il Trovatore“ with Anna Netrebko as Leonore, as the 3rd DAME in „Die Zauberflöte“, DUNJA in Rimski-Korsakow´s “The Tsar Bride “ and MAGDALENE in “Die Meistersinger von Nürnberg”. With Sir Simon Rattle she was in 2017 VARVARA in Janáček´s “Katja Kabanowa”. In the season 2019/2020 she returns as VARVARA to the Berlin State Opera and also sings the 1st NORNE, FLOSSHILDE and GRIMGERDE in Wagner’s “Ring” here. 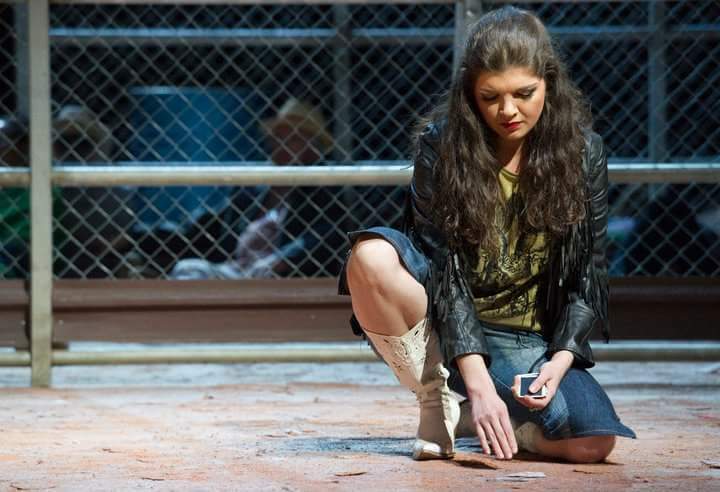 Anna Lapkovskaja made her operatic debut in 2010 at the Nürnberg State Opera as CARMEN. In the following she was engaged here as SUZUKI in „Madame Butterfly“, MARCHESA MELIBEA in „Il Viaggio a Reims“ and in the world premiere of Glanert’s „Das Holzschiff“, where she sang ANIAS HORN. Her fist engagement at the Teatro alla Scala di Milano was in 2013, when she was FLOSSHILDE in Barenboim’s “Ring production”. That year she also performed at the BBC Proms in London. She returned to the Scala to sing DUNJA in “The Tsar Bride” and in 2017 as MAGDALENE in “Die Meistersinger von Nürnberg”. 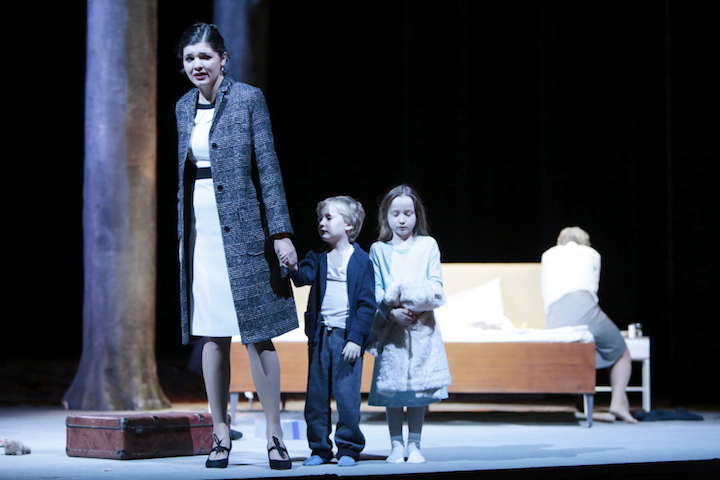 In 2014 Anna made her debut at the Munich State Opera under the baton of Adám Fisher as DRYADE in “Ariadne auf Naxos”. Last season she was re-invited to this renowned house for SONJETKA in “Lady Macbeth von Mzensk”, under the musical direction of Kirill Petrenko. 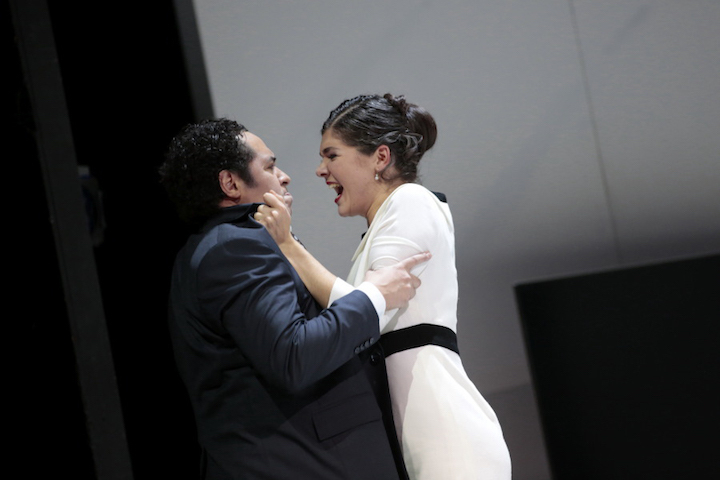 In 2015 she sang both ROSINA in “Il Barbiere di Siviglia” and ADALGISA at the Wiesbaden State Theatre. In the same year she also was FLOSSHILDE and the 1st NORN at the Bayreuth Festival under the musical direction of K. Petrenko. Anna Lapkovskaja was born in Minsk and grew up in Munich, where she made her degree with Maria Janina Hake at the Munich Academy for Music and Theatre and at the Bavarian Theatre Academy August Everding. In 2008 she was awarded 1st Prize at the prestigious Gasteig Competition in Munich. She also won the 3rd Prize at the Leyla Gencer Voice Competition in Istanbul, and was a member of Live Music Now, promoted by Yehudi Menuhin. A very much sought-after concert and lieder singer, she performed works such as Brahms` “Alt-Rhapsodie”, Rossini´s “Stabat mater”, Mahler´s “Kindertotenlieder” or Bach’s both the Passions of Matthew and St. John. With Sasha Goetzel and the Borusan Istanbul Philharmonic Orchestra she sang Verdi’s “Messa da Requiem” and Berlioz´s “Les nuits d´été”. She also sang Boulez`s “Le visage nuptial“ with the Staatskapelle Berlin and Mo. Barenboim, as well as Mahler´s “Das Lied von der Erde” , Günther Albers conducting. In the season 2017/18 she was the 3rd DAME with the Bavarian State Opera in Tokyo. 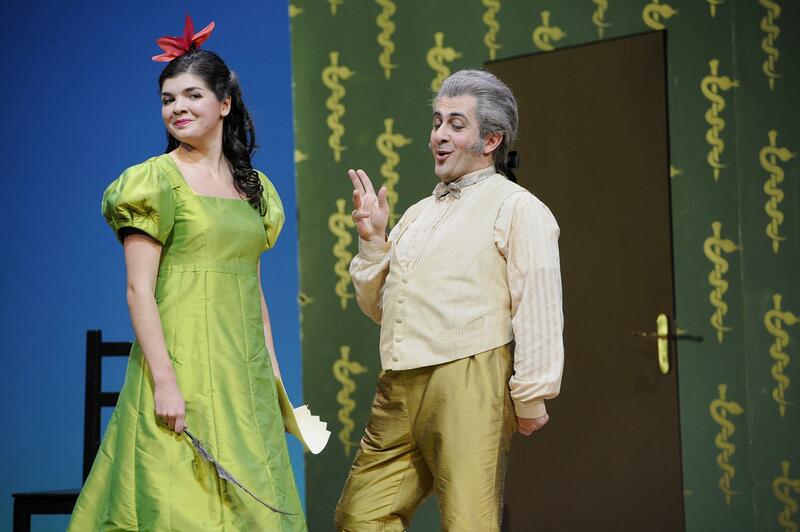 She could be heard in ‘The Cunning Little Vixen’ with the Berlin Philharmonic Orchestra and Sir Simon Rattle and as SONJETKA at the Bavarian State Opera Munich. With Maestro Daniel Barenboim and the Staatskapelle Berlin she performed Debussy’s ‚”Le Martyre de Saint Sébastien” at the Berlin Philharmonics and the Vienna Concert Society. She also made her debut at the Colón de Buenos Aires as MASHA in Peter Eövös’ Tri Sestri’. In the season 2018/2019 Anna Makes her debut as PREZIOSILLA in “La Forza del Destino” at the Opera Santiago de Chile. She sings DORABELLA at the Weimar National Theatre, the Verdi Requiem in the Munich Herkulessaal and the Berlin Cathedral, the Glagolitic Mass with Sir Simon Rattle in Berlin and she is GRIMGERDE in “Die Walküre” with the Bavarian Radio Orchestra in Munich. 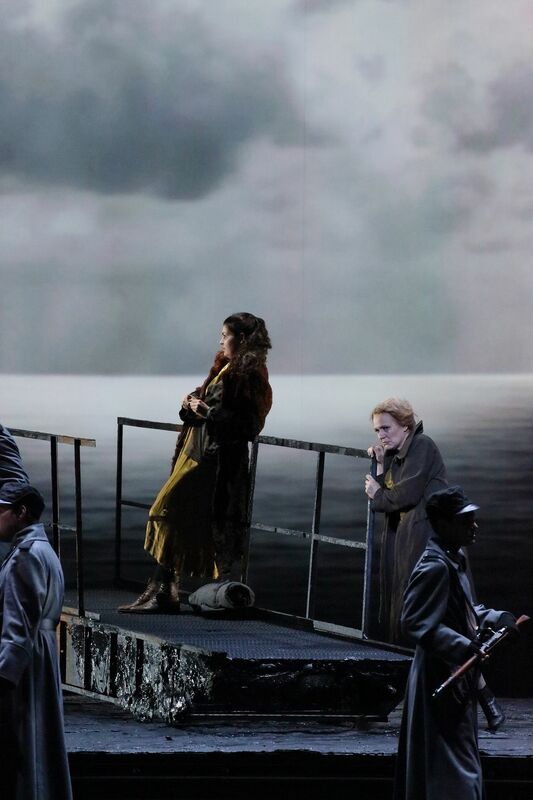 A powerful minor role: Anna Lapkovskaja as Sonjetka with fabulous dark colors. 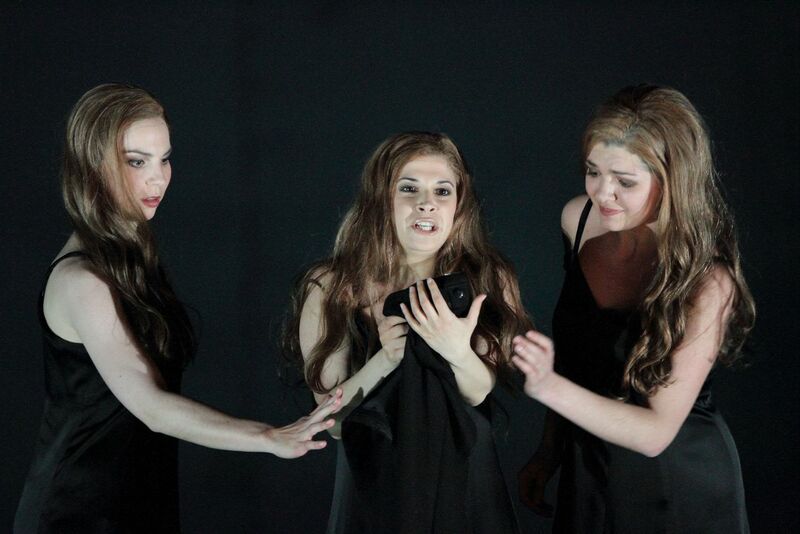 …the young, independent Varvarawas sung with a brilliant soprano voice by Anna Lapkovskaja. Anna Lapkovskaja’s passionate, lyrical Varvara.